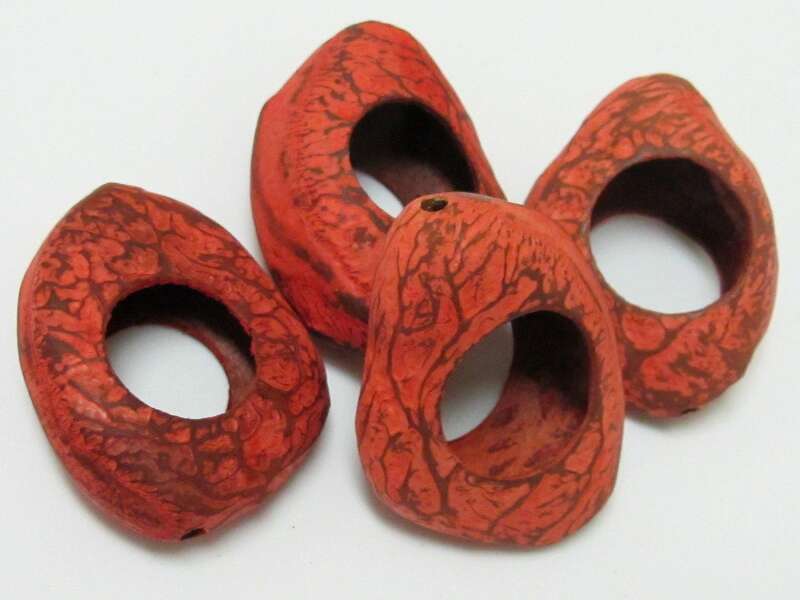 This listing is for 1 natural seed bead from Pangi tree . 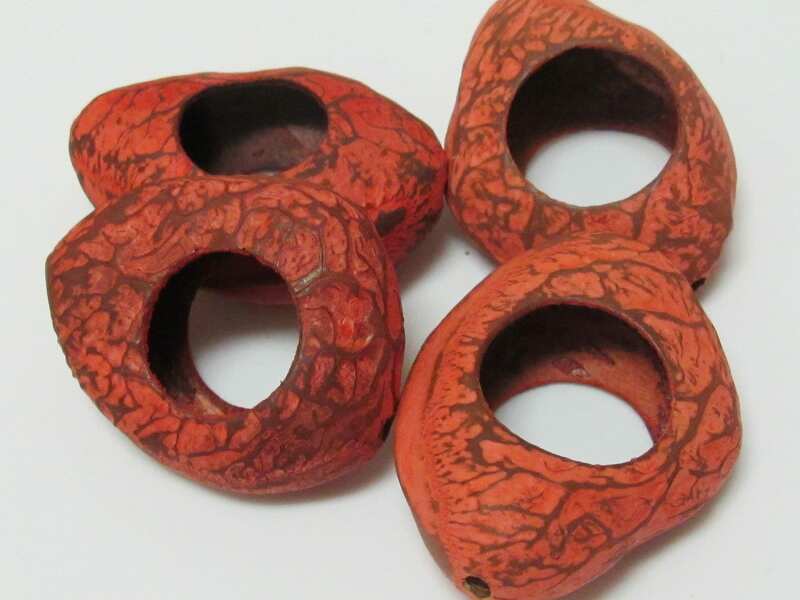 Seeds are cut in center into a big round hole as shown in the images and drilled with hole running from one side to another , dyed in reddish color . This tree grows tall reaching heights approx 52- 53 feet !! These trees are native to Southeast Asia including Phillipines and Indonesia . Please note that these seed beads are for decor / craft purpose only and are not edible. 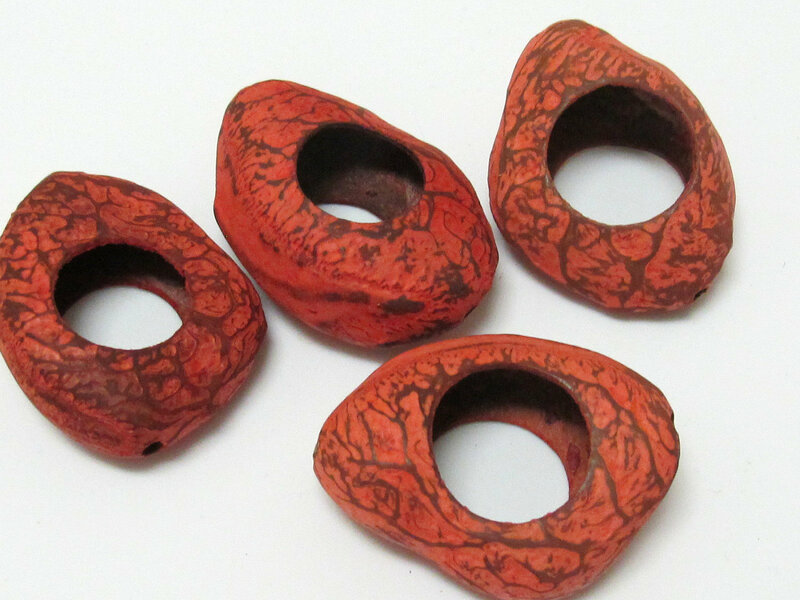 Images are enlarged to provide clear details .Since these are natural seed beads shape/size of beads vary from each other. Sizes varies - ranges from 44 mm - 47mm . Large big hole in center is approx 19 - 21 mm.